Brecht’s Database Solutions and our products; PowerIEP, Power504, PowerEval, PowerDS, and PowerRTI were all renamed today, June 11, 2018. We are now Embrace Software for Educators and our products are called EmbraceIEP, Embrace504, EmbraceEval, EmbraceDS, and EmbraceRTI. 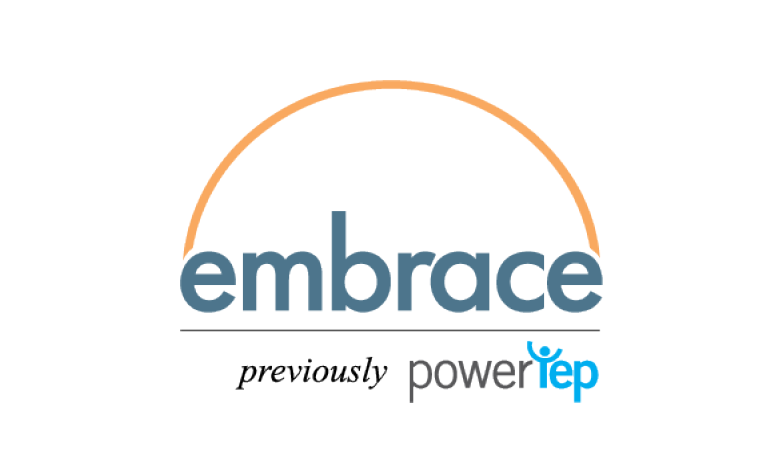 After careful consideration and lots of conversations with our customers, we landed on the name “Embrace” because it reflects the passion we share to help teachers help students achieve their best possible outcomes. Our customers told us they love our software because it reduces administrative time and gives them more time to engage with their students. They also told us our products help student outcomes by making faculty peer collaboration easy, efficient, and effective. We believe “Embrace” more closely aligns with how our clients told us they feel about our software products and our customer service. Check out our video with more insight on the name change from President Gus Brecht and VP Joe Koenig. The only thing changing is our name. We are not changing ownership, employees, functionality, service levels, quality or location. We will provide the same great software, have the same developers to help us maintain the same 99% customer satisfaction rate and continue to earn the same 5-star reviews from our users. We hope you will soon grow to “embrace” our new name as much as we have since we started this process last year.